The thought of a custom closet is dreamy, but will you pay for it later when you’re trying to sell your home? Or will you be rewarded? The short answer is that a custom space can often increase the value of your home. Hurrah! But before you go plotting out your custom walk-in, consider how to maximize your returns later by creating a custom closet that a future homebuyer will want to pay top dollar for. 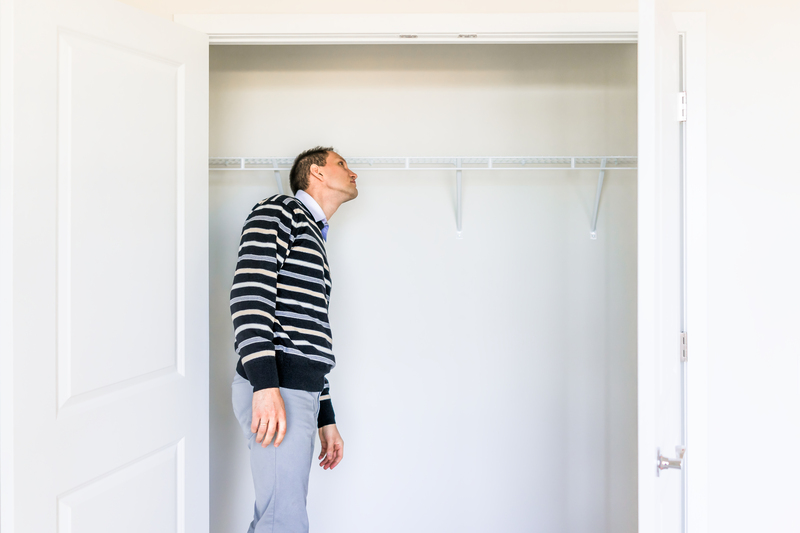 According to Realtor.com, walk-in closets are among the most coveted features of a home for sale. In fact, a walk-in closet has a 2-year appreciation of almost 10% with current real estate trends. Customize that closet and you may be able to add even more value to your property. Many realtors agree that a custom closet (even if it’s not a walk-in) will yield at least 100% ROI, meaning you’re sure to get your money back. If your custom storage is walk-in, homebuyers may be competing for your master bedroom before you know it. As of 2018, Millennials made up about 43% of all homebuyers. As a group, these buyers are rejecting McMansions in favor of homes that meet – but do not greatly exceed – the amount of space they need. More modest homes are affordable, easier to care for and speak to a minimalist lifestyle. Because homebuyers are looking for bigger spaces, they need the home they buy to be more organized. You want your open house to showcase just how every square inch has been thoughtfully maximized. A custom closet tells the homebuyer they can easily find what they need when they need it. They don’t need a closet the size of a studio apartment to be comfortable as long as it has customized organization. Make your custom storage spaces appealing to future buyers by creating a space that is stylish yet neutral. If you were thinking of bright blue shelving, you may want to scrap that idea. Crisp white shelves and drawers, simple chrome fixtures, and sleek lighting are a good way to go. You should also consider making things adjustable. A homebuyer can’t help but drool over shelves and hanging bars that can be moved around and customized to the user’s content. Whether your home has a walk-in storage space or you’re customizing a smaller closet, keeping the style classic and adjustable means adding value to the ultimate sale price. If you’re considering a custom closet, you’ll reap the benefits both now and later. Not only can you streamline your morning routine, but you can attract better buyers when the time comes to move. When the house down the block has the original closet design from the 1970s and you’re showcasing a fully customized shelving system, the choice for homebuyers will be easy. Still not sure how to design your own customized closet? Contact Closet World today for a consultation!